Over twenty years ago, Apple started collating all of its old documents, books, software, videotapes and marketing materials with the intention of opening an Apple museum. However, in 1997 — a time when Steve Jobs reprised his role as CEO at the company — plans were shelved and Apple officials contacted curators at Stanford University, offering to donate the collection to the school’s Silicon Valley Archives. After a couple of days, Stanford curators were at Apple HQ loading two moving trucks full of Apple’s old materials. The collection now stands as the largest collection of Apple historical materials. Whilst the Associated Press reports on the collection, which is hosted at a non-disclosed location, some of the materials stored at the warehouse have already been shared on the Web, but haven’t been found by many. 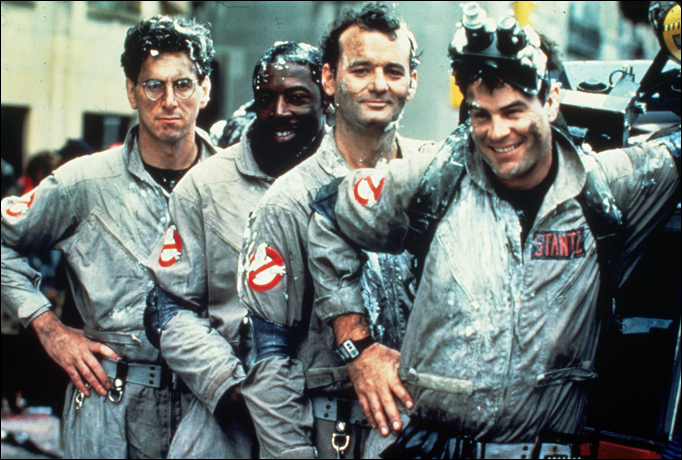 That includes a parody video recorded by Apple for its 1984 International Sales Meeting which spoofs the popular film Ghostbusters, with an Apple twist. We knew that Steve Jobs’ Apple was fiercely competitive with IBM, as noted in Walter Isaacson’s biography, but this video shows just how much. Apple also released an album of music in the 80s, The Apple Boogie.